Simon I. Perlsweig’s historical account of the lives of the author’s great grandparents and the communication between them shows a great deal of what life in Springfield, VT was like in the 1910’s. It is very possible that without this work, much of what Perlsweig writes about in Front Porches to Front Lines: One Small Town’s Mobilization of Men, Women, Manufacturing, and Money During World War One, would never have been pieced together. It is a real pleasure to be able to experience this slice of history. Simon Perlsweig does this astoundingly and it is clearly evident that he put his heart and soul into his work. Perlsweig’s book takes readers to Springfield, and more importantly, into the lives of a couple whose lives were greatly affected by WWI. There was, of course, the impact on the couple in question, Lawrence and Gladys, but readers are shown how everything else in the small Vermont town was changed forever, as well, and to make matters worse, war wouldn’t be the only problem faced by this couple. Historically speaking, this work is a gem. There is a wealth of information on virtually every aspect of life in the United States in the early 20th Century, and even when the familial part of the work is not considered, Front Porches to Front Lines holds its own as a historical text due to the attention given to the social, economic, and political issues, among many more. The research is thorough, and the writing style employed by the author is academic, while at the same time being accessible to a diverse audience. With such a breadth of information contained within the pages of this book, it’s definitely a plus using language that is not too complicated. Another aspect of the book that many readers should enjoy is the fact that there is a large amount of authentic memorabilia from the period, including recruiting posters, family photos, government documents, and much more. 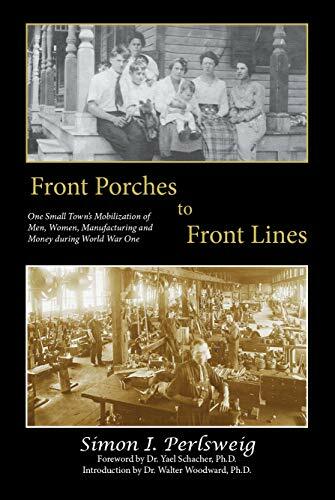 Simon I. Perlsweig’s Front Porches to Front Lines, published by Husky Trail Press LLC, is certainly a work that should not be ignored. It is not everyday that we are invited into the human experience of those who lived through one of America’s most trying times, and it’s even rarer that we get such a personal touch as the one here. WHAT HAPPENED IN VIETNAM DIDN’T STAY IN VIETNAM. IT CAME HOME WITH US! Silent Spring – Deadly Autumn of the Vietnam War is both a memoir and an investigative journey into all the complications the U.S. government hasn’t told you about the Vietnam War. It’s not just another book about Vietnam or Agent Orange. Rather it’s a “silver bullet” which cuts through to the heart of the circumstances and pesticides used during that war—highly toxic herbicides and insecticides, which in some cases are still being used to this very day all over the globe, even right here in the USA. So, forget everything you’ve heard from our government and everything that you think you know about the Vietnam War because this book is much more than a memoir of one Vietnam veteran’s struggles over the decades following the war. It’s a story of all the veterans who served in Vietnam and their children. And it could even be the story of you and your children, too. 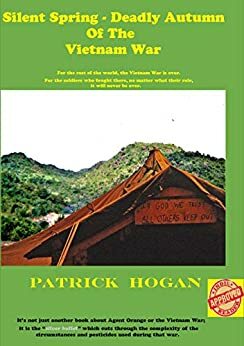 As you read through the book and its volumes of information, you will be absolutely stunned at what the US government had willingly dumped on Vietnam and its own troops. Silent Spring – Deadly Autumn of the Vietnam War uses your personal account of the Vietnam War to shed light on the dangerous conditions US servicemen served in. Why was this an important book for you to write? In the beginning, writing a book was the further thing from my mind. However, shortly after I had returned home from Vietnam for the last time, my father urged me to file a disability claim with the Department of Veterans Affairs (DVA) for medical problems I had experienced during my service. I began the process without much enthusiasm and quickly got sidelined by my new civilian life. Little did I realize that I wouldn’t re-visit my disability claims again until almost forty years later when I watched President Barack Obama give a speech on the horrors of the Vietnam War. I’m still not quite sure what happened that day, but after listening to the president, I felt an urgency to commit myself to investigate the causal link between my exposures to Agent Orange and the myriad health problems plaguing not only my life but the lives of many other Vietnam veterans. When I started my investigative journey into Agent Orange, I never suspected what I would discover. But, I quickly learned we were exposed too much more than just the one infamous pesticide. The deeper my exploration went and the more I thought about all the lives which had been taken and damaged by the rampant use of pesticides during the war; the more determined I became to try to set the record right. So, starting with the death of my friend Larry White the book was born. It’s a disgrace that so many lives have been lost over the last half-century, and no one knows the truth or exactly how many veterans died because of the chemicals they were exposed to in Vietnam. Likewise, our government can’t even tell us how many of the three million “in-Country” Vietnam Veterans are still alive today. One of my biggest regrets is it took me so long to wake up. This book discusses many of the toxic pesticides, herbicides, and insecticides used in the war. What do you find is a common misconception people have about their use in Vietnam? The most common misconception is most people believe Agent Orange was the only pesticide we were exposed too. The truth is the Vietnam War is a disinformation campaign by the government to downplay or outright ignore all the other chemicals we were exposed to in Vietnam. Had the government been forthcoming with the same information in my book there would have been no misconceptions. Then again, no one has ever put together an investigation or book on all the complex issues and chemical of the Vietnam War before either. You often use your personal account of your time in Vietnam, but did you also conduct any research for this book? I conducted over three years of research for this book. I have quite literally reviewed thousands of studies, medical opinions, and documents. I’ve talked to doctors and other medical professionals, the vast majority of which came to the same inescapable conclusions as I eventually did at the end of my research. Low-level exposures to just the various known chemicals discussed in my book will attack living organisms on an undetected hormonal, genetic, and cellular/molecular level, producing covert systemic damage and alterations to immune, cardiovascular, endocrine, respiratory, and neurological systems of any human unlucky enough to be put in their path. Exactly how that damage and those alterations manifest depends on the several exposure factors which I discuss in the book. As I was putting the finishing touches on Silent Spring – Deadly Autumn of the Vietnam War and reading through all the data and information again, it started me concentrating on what our government and the military-industrial chemical corporations were capable of creating in South Vietnam during the war. I began to spectacle, on just how the United States got away with unleashing so many harmful pesticides during the war. Awkwardly, for me at least, even though I was there, the whole concept of what occurred in Vietnam is still quite perplexing and hard for me to fathom. Still, based on my years of research, it appears that pesticide companies, our government, lumber companies, and large commercial agricultural groups, as well as many of our state and federal agencies, consider pesticides—both herbicides and insecticides—essential for use in today’s modern, industrialized world. Consequently, what occurred in Vietnam hasn’t stayed in Vietnam. It has, over the intervening half century, continued to be ever so skillfully reproduced in today’s world. Like Vietnam, our government and chemical companies are primarily still using the same classic trickery of smoke and mirrors for the specific protection of harmful pesticides and their manufacturers. So, my next book will be titled, Betrayal of America by the Political and Industrial Complex. In this exploration, there will be a stunning investigation into the depth of corporate and political treachery and greed. Any American angry with the present corporate and political system after reading this shocking investigative account will turn their anger into sheer outrage when they learn what is being allowed to be used in our environment. As for when it will be finished, God only knows. Silent Spring – Deadly Autumn of the Vietnam War is not just another book about the Vietnam War or Agent Orange. Instead, it is a “silver bullet” which cuts through the heart of the circumstances and pesticides used during that war—highly toxic herbicides and insecticides which in some cases are still being used all over the world. The book is much more than a memoir of one Vietnam veteran’s struggles over the decades after the war. It is a full-length analysis of the various conditions in Vietnam and the chemicals that were unleashed on not only the enemy but also on US service personnel. 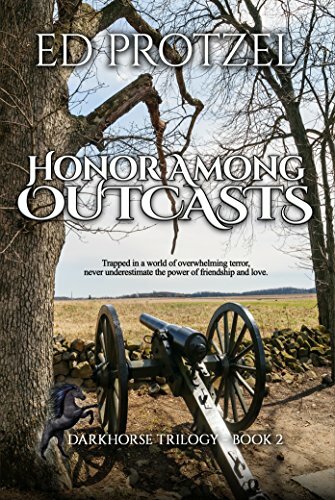 Pat Hogan, the author and the main subject in the biography portion of the book, chronicles his early life and enlistment into the war in the mid-’60s. 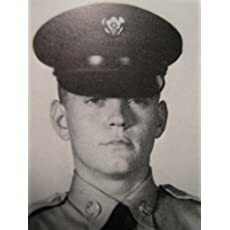 He starts with the life story of a friend and fellow vet, Larry White, who died decades later from numerous complications of the pesticides he was exposed to while stationed in Vietnam. Hogan returned from Vietnam in ’69 and started having minor health difficulties himself. He became a police officer and then a police academy instructor. It is this occupational skill set—his investigative and analytical ability—that truly brings a high impact to the rest of the book. As you read through the volumes of information, you will be absolutely stunned at what the US government had willingly dumped on Vietnam and its own troops. In fact, in the book’s postscript, the author even makes a case for some of those same chemicals still being used today on you and your children, not just in the U.S. but all over the globe. Damaged follows Kiera as she is struggling to deal with her painful past and her emotions for a love from her past. What was the inspiration for the setup to this emotional novel? I never wanted to be a writer. It honestly never crossed my mind. This novel developed because I had a scenario that kept repeating in my head over and over again. One day I figured I would write it down and maybe it would stop. Once I started writing everything began to click together. Kiera is a lot like me. She is very self conscious about the way she looks. She suffers from severe anxiety and PTSD. These are elements that hit close to home with me and my family. 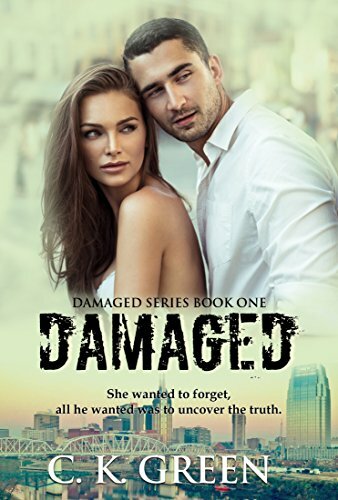 Damaged is a genre-crossing novel with elements of a romance, mystery, and thriller as well. Did you start writing with this in mind, or did this happen organically as you were writing? This happened organically as I wrote. I actually wrote the scene at the club first and branched out from there. I love books that keep you on the edge of your seat. I’m one of those readers that will put a novel down unless it catches my attention and holds it. I tried to soup that into this novel. I loved writing about Kiera, but Anna has been my favorite. She’s sassy, independent and knows exactly what she wants. I’m currently writing Anna’s story. I had to take a break as I entered into the US Army as an Officer. I’m back at it now and hope to have it out before the end of the year. Ethan can’t forget the day he’d found her, beaten and bloody on the side of the road, barely alive. That one unsolved case changed Ethan’s life as a detective. Kiera never told anyone what had happened to her the night she’d gone missing. In the aftermath of the attack, she flees town, leaving everything behind. Over time, she manages to build a new life for herself, keeping the painful memories locked in the deep recesses of her mind. But a chance encounter releases them with a vengeance, along with an attraction she never expected to have. THE RIGEL AFFAIR is a novel based on real events and the life of Navy Seal Charlie Kincaid. Part Cherokee, born into Southern poverty, Charlie trained as a diver and became the leader of the war’s first underwater demolition team. His men experienced their first test, moments after the strike on Pearl Harbor, rescuing twenty-eight U. S. sailors trapped in the sinking USS California. Their missions sent them to New Zealand, Australia, and a dozen Pacific Islands, into the most dangerous combat areas on that side of the world. They dove and carried out clandestine missions under horrific weather and health conditions while constantly facing attacks by Japanese troops, bombers, and submarines. But Charlie’s life was not all hardship. Even as the bloody war ground on in Europe and the Pacific, he fell in love. Her name was Mattie, and she lived in New Zealand. Their love story offers a tender counterpoint to gritty battle scenes throughout the novel. The book is framed around actual love letters sent by the couple, newspaper accounts from 1941-44, material from various archives, and documented events involving Charlie’s ship, the USS Rigel. We’ve also interviewed surviving shipmates. 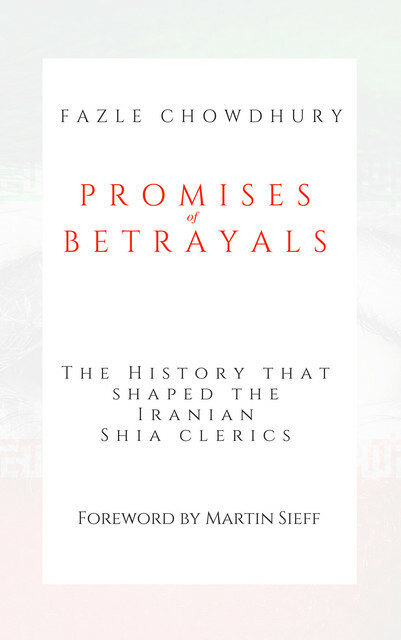 This hard to put down, exposure of the, ‘hidden truth,’ that could change, your World View, and the Course of History! Jaw dropping secrets, hidden for decades; are revealed, in this book; written by a former member, of the US Organization, in the ’60’s! From the perspective, of the Author, and Barbara’s exceptional research, is an eye-witness, eye-opening, and shocking account, about the inner-workings, of the US Organization, in The Black Power Movement, of the ’60’s & ’70’s! The Decline of Democratic Society in the New Age explores the current state of politics, economics, and society. Why was this an important book for you to write? The idea to write this book came to me in September of 2016. Throughout that month I grew more and more amazed with what I was seeing on television every time I turned it on. Angry people protesting the candidacy of Donald Trump everywhere, even in Toronto where I was living. The intensity of the emotions displayed made an impact on me. I never imagined this many people cared this much about politics. Although I had been working on other things at the time it seemed to me that my first book should be about the politics of this era, so I dropped everything and started writing this book that very month. The book delves deep into the failures of the US government since 2007 and the international effects of these failures. Why did you choose this year as the starting point? The year 2007 was not the year the policy failures began, but it was the year the markets began to fail in alarming fashion, day after day. Economics are the lynchpin for all the political and historical insight that pours forth in this book. The book is not academic in nature and contains no jargon. It is for the general reader, but a relevant discussion of economic conduct on the part of government is essential when discussing the state of democratic society today. Democracy itself is still in tact, but societies (people) living under democratic systems are very much in peril due to what is going on economically. What is one common misconception you find people have about today’s politics? The main misconception people have about politics today is that it is driven by political concerns. It is not. I try to make it clear in the book that a lot of what goes on is about preserving power and wealth in the U.S. It is not about country or race or society anymore. Everything is motivated by the need to protect enormous wealth and the power it confers. Nothing else matters. What do you hope readers take away from your book? Is there action that a single citizen can take to rectify our situation? What I hope people take away from this book is what I state in the very first paragraph of the book. We are living in crucial, transitional times. The western world is not what it once was. Manouvres are being made to preserve economic, class-based power and democracy is very much in danger. What you can do right now is not very much. The source of massive stimulus into the NYSE is now the European Central Bank. They need to move it around every few years to prevent political consequences that might bring an end to it. With so much money coming from Europe, of course, the Europeans now have tremendous influence over the American economy. Since ECB stimulus began, in 2016, the American dollar has fallen in value relative to the Euro by 20%. It was equal to the Euro at the start of 2016. Now one USD is worth .8 Euros. What can somebody do? When the stimulus comes around to the U.S. again, and it will, you must demand, if the American economy is still in tact by then, that there be no taxpayer money injected into the pockets of rich investors and institutions. If they put you off, then I am afraid you will have to become more insistent. Do you plan on writing other books? I have about another five books in me which I do plan to write if the marketplace allows me. 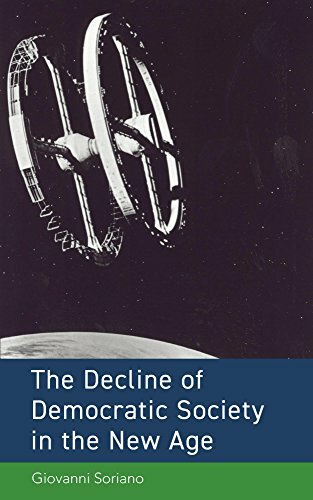 A deeply intellectual history of the present,The Decline of Democratic Society in the New Age outlines the historical events that have led the world into its current state of political, economic, psychological, societal, and biological demise. By identifying and discussing tyranny in its modern forms, solutions are made evident or provided throughout the text. Abounding with original ideas in every one of its thirty chapters, the book is a model of revolutionary thought and philosophical totality. It constitutes no less than a modern-day version of Plato’s Republic for the new century. Beyond this, the discourse possesses an unceasing intensity of tone found only in the purest of political tracts. Without doubt an intellectual, political, and historical necessity in this confused and disturbing period.